There is a principle in behavioral finance called a recency bias. This is where you believe that what has happened in the past 30 to 60 days will become the new normal. 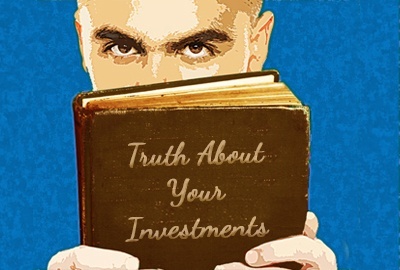 If you’ve paid attention to the investment world over the past thirty or forty years you would have seen that what has happened over the recent past doesn’t mean anything. Let’s take a look at what this means for you. The market does go up and down. I know this looks like a really stupid statement. At the same time it’s the truth. Markets do go up and down. The key is what do you do when the market either skyrockets or sinks like a brick? I’m hoping that you don’t get too excited when the market goes up and I really hope that you don’t get scared and pull your money out of the market when it crashes. What I’ve learned over the past forty years is that getting excited about my investments is a big mistake. Instead I want to stay the course. When the market is hot I enjoy it but I don’t change my behavior. When the market crashes I try to say, “My isn’t that interesting?” If I can do that, then I’ll be invested when the market turns around and over the past forty years it has always turned around. I’ve not been able to time the market. When I was younger I thought I could time the market and beat it. The truth is I managed to time it once and save a bunch of money. But, and this is a big but every other time I’ve tried to time the market I’ve been a big loser. I don’t want you to be a big loser; I want you to stay invested with an asset allocation of stocks, bonds and cash that makes sense for you. Don’t try to outsmart the market, just stay the course. Staying in the market is the best bet. If you follow market movements you’ll see that most of the movements in a bull market happens over a few days. If you’re trying to figure out whether to be in the market or not you’re going to likely miss those days. You’re much better off just staying the course and letting the market help you over the long term. Make sure you think about your investments as buckets. Here’s the key to a successful investing program. If you need your money in the next five years you shouldn’t have very much if any in stocks. The key with being able to stay the course is to put your money in buckets. You might decide you need to spend 10% of your money over the next three years. That money should stay in cash. You might also have a need of another 10% of your money from years 3-6. This money you might want to keep in bonds. Finally, the rest of your money isn’t needed for 6 years or more. This money could be in stocks. That way if the market does crash, you will have time for your account to recover. This is how we do asset allocation. We help you think about your money and the time frame you need it. Using a bucket system tied to when you need your money allows you to stay the course. In my opinion that’s what it’s all about. What my real job is. Choosing what investments you decide to use is important. I believe a more important job is for me to help you design your buckets and then stay the course. I don’t want you to get too excited when the market is hot and I really don’t want you to get scared when the market drops. That’s why we choose time frames that give you the best chance of reaching your investment goals. Doesn’t that sound like an idea you can get behind? Investing really isn’t very complicated but it does force us to pay attention to things that happened years ago. That’s what successful investors do and I bet you want to be part of that group.